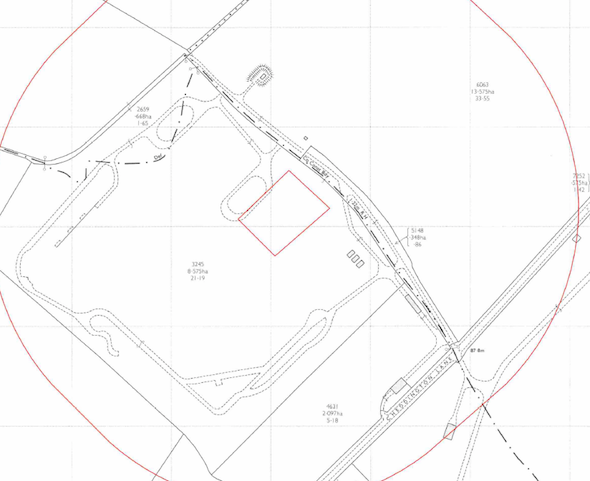 Given that the site had previously formed part of an airfield, a contaminated land planning condition was attached to the decision notice for the erection of an agricultural workers dwelling. The first stage of discharging the condition was to prepare a desk study report to identify the potential issues relating to the site and the sensitivity of a number of potential receptors. Initially, the Ordnance Survey maps indicated the site was open land until the 1977 map when the site formed part of an airfield, indicating the earlier O.S maps had been doctored to remove any evidence of the airfield. A detailed review of information int he public domain revealed that the site was part of Cheddington Airfield, which opened in 1942 and had been used by both the RAF and USAAF. A review of data provided by both Groundsure and the Environment Agency did not reveal ant further potential source of contamination. Whilst there was the possibility for the storage of ordnance on the site, which may have impacted site soils, given the time elapsed since the site was decommissioned (1952) the risk was concluded to be low and no further works were proposed.